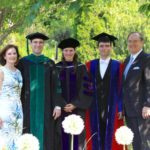 After finishing my DPhil at Oxford last year, and completing the final year of Duke medical school this year, this spring was filled with graduation festivities. 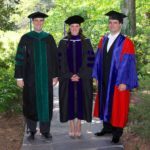 It was a big summer for my sister Lorne as well, who earned her juris doctor at UNC Law. Over the space of just a few weeks, we celebrated Lorne’s law graduation as well as my graduations from Duke and Oxford. 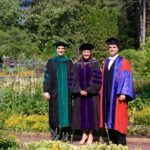 We were lucky enough to get Bill back into some MD robes and take a family academic dress picture or two!